NCT Dream dropped a new winter song titled “Candle Light” on Thursday. The latest release marks the third song of the third season of S.M. Station, a digital music project by label S.M. Entertainment. “Candle Light” is a medium-tempo song with an acoustic guitar base. One of the band’s members, Mark, penned the song’s lyrics, which features a message of love and gratitude for loved ones. 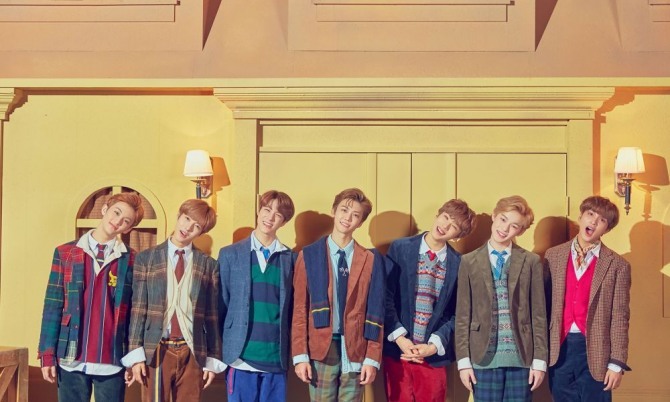 In the music video, the seven members of NCT Dream play staff members on a movie set. The song is available on major streaming sites, including Melon, Genie, iTunes, Apple Music and Spotify. The accompanying music video was released on NCT Dream’s official V Live channel, which has garnered close to 6 million likes as of Friday morning. NCT Dream debuted in August 2016 as the third subunit of S.M. Entertainment’s boy band NCT. NCT is a multinational boy band with 18 members, with each subunit based in different locales. Watch the music video at https://www.vlive.tv/video/106377.